Growing up in a Catholic family meant that the beginning of Spring was all about Lent. At some point everyone would have ashes on their foreheads, there was a portion that included palm fronds, and then there were Friday afternoons working in the church kitchen stirring large batches of cole slaw, dredging strips of fish for frying and being bossed around by the not-priest church boss Barbara. She makes the best potato salad… she’s supposed to be bossing the Friday Fish Fry. In my experience, Friday Fish Frys are best enjoyed off of a paper plate, at a folding table with older church ladies most of whom are mistaking you 2for your sister… and you just go along with it… keeping one eye on the dessert table for the dwindling portions of the Sweet Potato Pie. That’s how you know it’s Lent. And it’s a good thing you gave up chocolate and not french fries. I used cod for our Friday Fish Fry. It’s a solid white fish that maintains its moisture and flakes when bitten into. Set up three dredging bowls. This is the path to success. All-purpose flour with salt and pepper. Cornstarch, baking powder, creole seasoning, flour, milk, and sparkling water. A wet batter. Panko bread crumbs, for golden crispness. Here’s the gravy train. That must be what Catholics call it, right? Fish pieces are lightly coated in flour, dipped into the wet batter, and covered in panko. Well coated fishy fish bites. It’s time for frying… and we’re talking deep-fat frying. About 2 good inches of oil is heated to 375 degrees F. Fish is fried for 2 minutes on each side. Enough to be made golden and irresistible. I served our Friday Fish Fry with homemade sweet and sour vinegar cole slaw from this simple recipe, here. Add extra carrots, less sugar, and purple onions. It’s simple and satisfying. Also, french fries… shoestring, baked from frozen because we have no shame in our game, and topped liberally with garlic butter, also no shame in that game. Friday is on the horizon and it’s looking mighty delicious. To make the fish, you’ll need three shallow bowls. In one shallow bowl, whisk together the cornstarch, baking powder, salt, Creole seasoning, and 1/2 cup flour. Stir in milk and sparkling water until smooth. In another small bowl, whisk together remaining 1 cup flour, 3/4 teaspoon salt and 3/4 teaspoon freshly cracked black pepper. In the final shallow bowl, add breadcrumbs. Heat about 4 cup canola oil in a medium saucepan over medium heat. Use a fry thermometer to bring the oil to 375 degrees F.
To prepare the fish, first toss in the seasoned flour, shaking off any excess. Dip in the batter, shaking off any excess. Finally, cover in panko and place on a wire rack over a rimmed baking sheet. Fry the fish in batches, cooking for 2-3 minutes on each side. Return to wire rack to cool slightly and drain. To make the cole slaw, for the dressing, whisk together vinegar, sugar, oil, garlic, black pepper, and celery seeds in small bowl. Microwave for 45 seconds and whisk again, dissolving the sugar. For the slaw, toss together the cabbage, carrot, and onion in a large bowl. Sprinkle with remaining sugar and salt and toss to combine. Let stand five minutes, then transfer to a large colander and rinse thoroughly under cold running water. Transfer vegetables to a salad spinner and spin dry. Alternatively, transfer to a large rimmed baking sheet lined with a triple layer of paper towels or a clean kitchen towel and blot mixture dry with more towels. Return to large bowl. Pour dressing over vegetables and toss to coat. Adjust seasoning to taste with salt, pepper. Chill until ready to serve. To make the fries, cook the fries in the oven according to the package directions. While the fries bake, melt the butter in a small saucepan over medium heat. Add the garlic and cook for 1 minute more. Add the salt and parsley and remove from heat. Drizzle butter and garlic mixture over the baked fries to your desired butteryness. Serve warm. My mouth is watering. 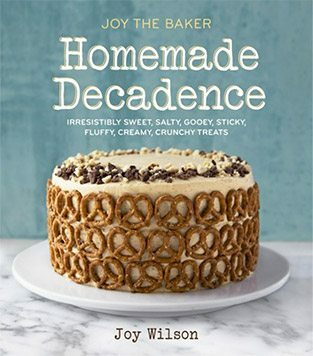 This looks incredible, Joy! Chocolate vs. french fries for lent… you’re inside my brian. Looks delicious! Love fish any way I can get it! Every Friday during Lent was our excuse to go to Red Lobster, the only seafood restaurant in town. Ah, memories! Hello joy i loved fries with fish and coleslaw,thank you for sharing your delicious recipe(: can any fish can do it,for fish frying? you just want to make sure it’s a firm white fish. i think those work best. Those were some good times – it great to remember them. Yes, Barbara’s potato salad is the best! Sparkling water?!?!?!?! There aren’t enough interrobangs. This is magical; and, as someone who can really only enjoy fish when it’s friend, I might have to give it a go, Lent-observing or not. I never knew Friday Fish Fry was a thing until I went to college in Milwaukee – OH. MY. GOD. Every restaurant and pub has a friday fish fry. And you want to try every one. Cafe Benelux is my fav – classic beer battered or potato chip crusted. With sweet potato fries. An amazingly simple and easy recipe. The dish looks delicious. That cole slaw dressing enhances the taste further.. Love it. I love this post! I grew up in a Catholic family too, and we would have fish frys at the church all the time. So yummy and crunchy. This looks like a delicious recipe! Now you have me wanting to know the recipe for Barbara’s potato salad to go along with my fish fry! Love the wet batter idea! Also I’m jealous of the church of your childhood–sounds like a crew who knew how to have fun! I’m so down with this thing it’s not even funny! 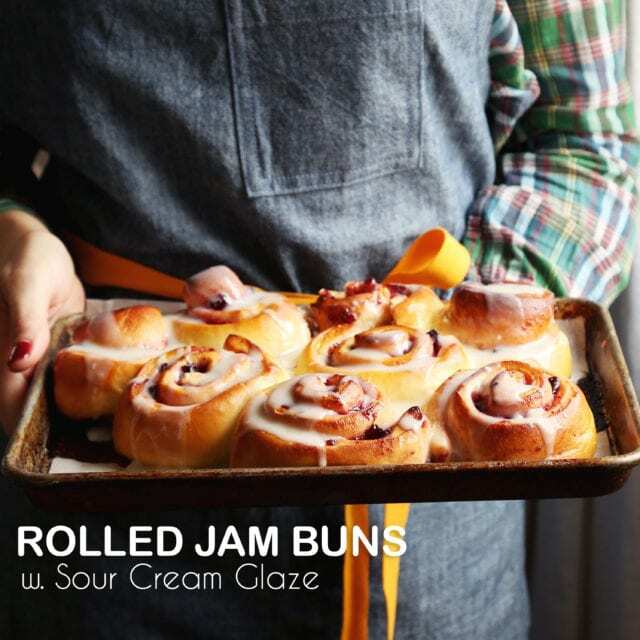 Joy, this looks insanely delish! I have actually never eaten frozen fries.